Updated Ethernet Shield: micro-SD card slot, Mega support, and reset controller. 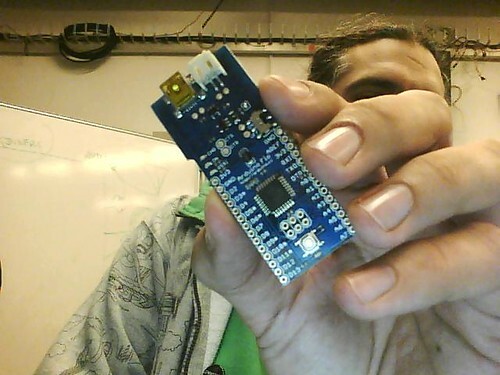 Today we are working at ITP, New York University, Shigeru Kobayashi from IAMAS, presented his Arduino FIO board that he developed together with Sparkfun. UPDATE (20100319): If you are interested in checking this board out right now, you can get it directly from here. Oh frack. Well there goes the standard shield concept. Wonder what the CPU is. It’s an Atmega328, same as the FIO was before.